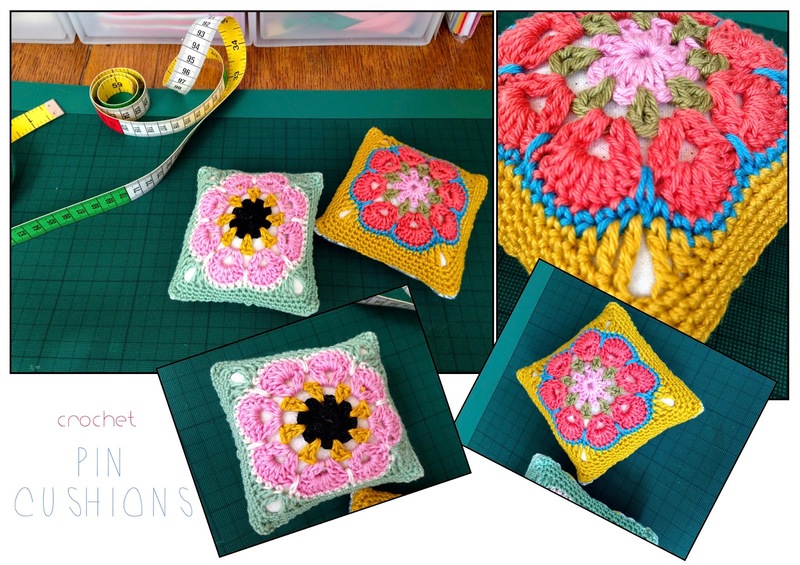 Here is another "mini cushion" - also known as my Pin Cushions - which you can make. Lovely presents for avid sewers? I used thin cotton to do this, so that the cushion doesn't bend out of shape, once stuffed. I chose to freestyle with the pattern (so I'm sorry if I can't remember what I did, and can't write down a pattern), but it could easily be made as a simple, dainty, delicate Granny Square...? Now I'm off to sew something.